So now we know. We know the truth about the no-confidence motion and what happened behind the scenes. We know that the no-faith move could have succeeded. We know who decided to save Ranil. We know why. We know which foreign powers encouraged and backed that operation to rescue him. We know what Ranil signed—yes, actually SIGNED— in reciprocity. We know the role Mangala played. We know what to expect in the coming weeks and months. We also know the plan behind the new Constitution. 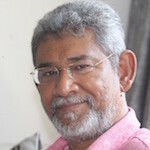 In his article entitled ‘ TNA’s Key Role in Defeating No-Confidence Motion Against Ranil’ (Daily Mirror April 10th 2018) Jeyaraj helps us piece together how the no-confidence motion was defeated, who played the most crucial role of all, and how that role was the move that set off a chain reaction. This reveals that Ranil, rather than President Sirisena, is the poodle of the US, UK, Canada, Norway and India. And the TNA is a twin poodle. 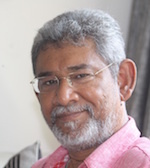 Politics in Sri Lanka post independence has been dirty, especially since 1956. It is getting more filthy as each year goes by. Deal making, back stabbing, is the name of the game. Which party in Sri Lanka does not have blood on their hands ? Which party in Sri Lanka can honestly claim to be above board ?